Whether you want to entertain clients, bond with your team, launch a product, hold a meeting or have a party, you can design your own perfect event in our multifaceted venue. The ZAPspace events team loves a challenge and we’ll work with you to plan and host experiences that make guests smile – whatever the format and budget. Looking for a fun day out with clients or staff? You could race your colleagues down the Ninja Slide to pump yourselves up for a brainstorm meeting, pitch teams against each other on the Gladiator Battle Beam, or reward freestyle jumping sessions with some well-earned refreshments in one of the party spaces overlooking our 92-capacity trampoline park. Every event is bespoke and there are options for just about every budget and group size across our wide range of event spaces. 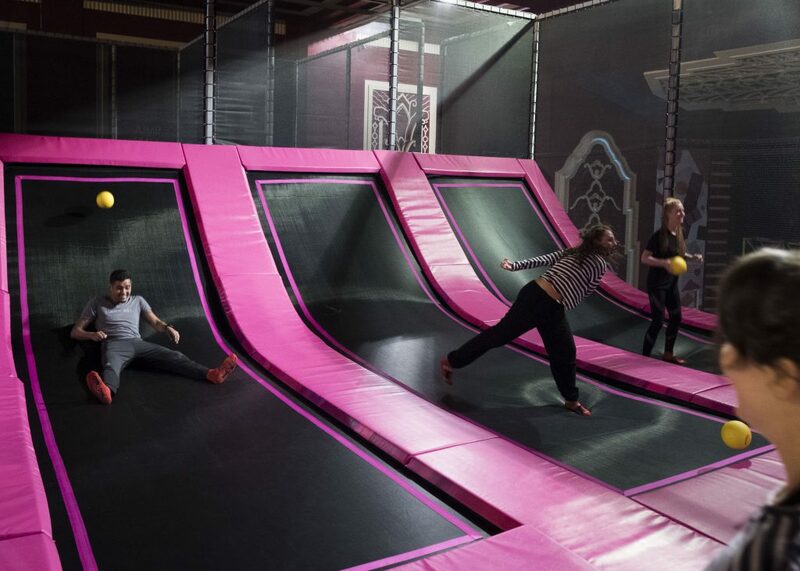 The trampoline park itself is split into zones, so there are exclusive-hire options even for smaller groups and, while the maximum number of jumpers is limited to 92 at any one time, we can create rolling event formats to accommodate large parties too – especially in summer, when groups can spill out into our sister venue, Pitch, a 300-capacity outdoor bar with street food, craft drinks and a giant HD screen. Eight party booths with capacity for up to 12 overlook the Dodgeball Courts and Slam-Dunk Zone at the top of the venue, where you’ll also find all the AV facilities you’d need for a creative offsite (our relaxed SkyBar meeting room can accommodate up to 40 delegates across a range of seating arrangements, from boardroom to beanbags). Zapspace was a fantastic place to host our event. Our team had an amazing time and are already asking when we can go back. I highly recommended a teambuilding half day! We have our own cafe, catering and late-night bar, providing you with flexible options for your next event. We can arrange catering for you or if you want to keep it casual with delicious sandwiches, salads or home made pizza you can do that too. Looking for an after-hours party space? 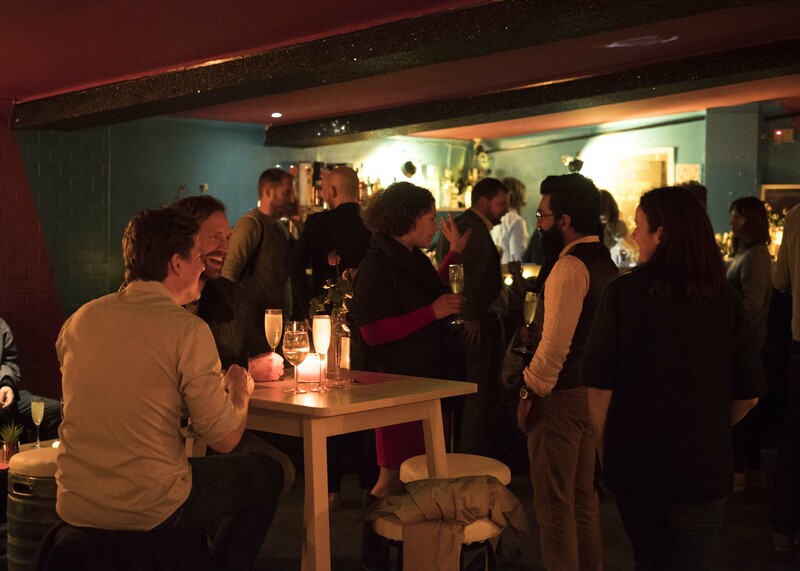 Book your group into our speakeasy, the Curious Fox, where the bar is stocked with craft beer as well as cocktails and the dance floor has room for up to 80 guests. We’ll help you arrange a DJ or live band. For all marketing and press queries please email marketing@zapspace.co.uk – for press features & links head here.